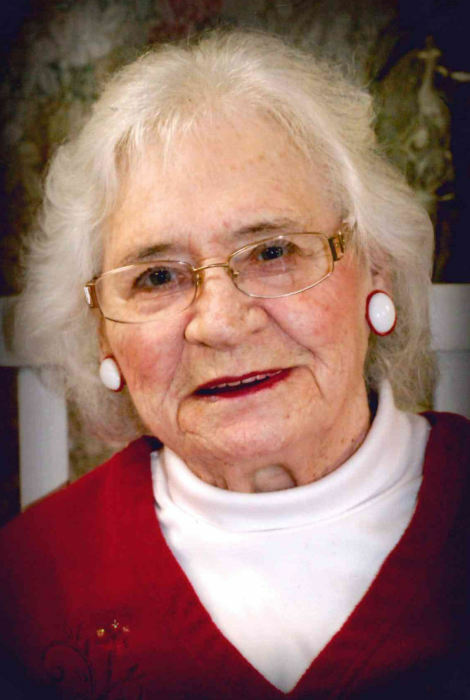 Candler – Stella Domicz Warren, 89, passed away on Tuesday, February 05, 2019 at the Brian Center of Weaverville. Stella was born and raised in Bayonne, New Jersey and was a daughter of the late Stanley and Victoria Morgan Domicz. In addition to her parents, she was preceded in death by two sisters; one brother; and her granddaughter, Kelly Rene Phillips. She attended Bayonne High School. Stella moved to Candler in 1945 with her husband, the late Charles Noah Warren, who died in 2010. She worked for 35 years starting at Memorial Mission Hospital in labor and delivery. She finished her career with Dr. Lewis Rathbun as his OB/GYN nurse. Stella loved her work and especially delivering babies. Stella enjoyed her retirement and spending time with the senior citizens group from Ridgeway Baptist Church. She was a faithful member of Ridgeway where she taught Sunday school and was involved in nursing home ministries. She is survived by two daughters, Donna Reeves (Jerry) and Janet Rudisill (Lewis); one son, Eddie Warren (Amy); one granddaughter, Jennifer Warren; and two grandsons, Michael and Jason Rudisill. Stella was loved by many and her family will greatly miss her. Funeral services will be held at 3:00 pm on Sunday, February 10, 2019 at Ridgeway Baptist Church with the Reverend Jack W. Collins officiating. Burial will follow in the church cemetery. The family will receive friends one hour prior to the service at the church. In lieu of flowers, donations may be made to Ridgeway Baptist Church, 525 Old US 19/23 Hwy., Candler, NC 28715. The family would like to express their deepest gratitude to the staff of Brian Center in Weaverville. They took great care of Stella and was very comforting to the family.